Emma Burgess-Olson moved to New York from Kansas in 2010. She was settling into a new life and picking up gigs in the city when her apartment in Brooklyn was broken into. Twice. Having two computers stolen is the kind of crippling setback that any digital DJ dreads, but the overhaul of starting from zero had an unexpectedly invigorating effect. She decided to try analogue. Emma first discovered techno while at college in 2008, when she headed out one evening to one of Kansas City’s famous BOTNET warehouse parties. Having grown up mostly listening to the classical music her parents played, the experience of hearing battering-ram percussion and polyrhythms pumping out of a system in a dark room filled with club freaks going wild had an earth-shaking effect. “The physical aspect of feeling a soundsystem,” she recalls, tailing off slightly while looking for the words to convey the seismic sensation. “It did something to my brain.” She was hooked. 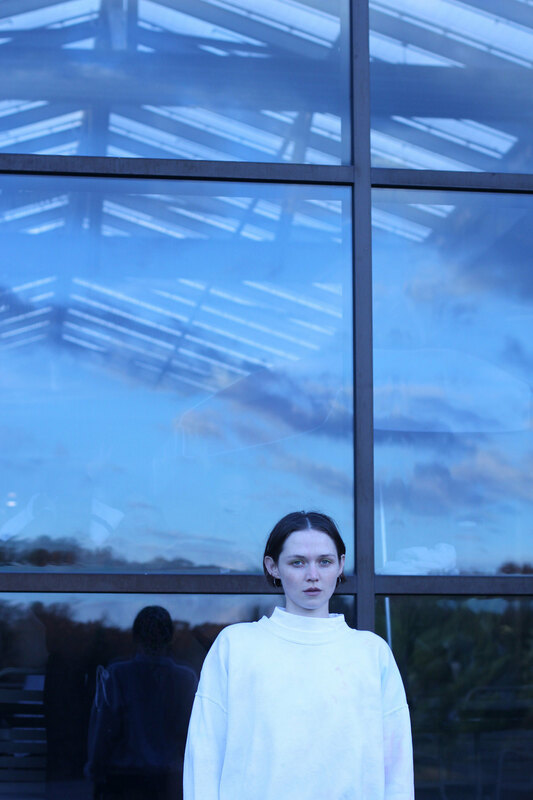 A student of textile design at the time, Emma was fascinated by repeat patterns and minimalism, and she connected with the similar themes found in techno. And as it turned out, this musical awakening had a more career-defining impact than her formal education. During the remainder of her degree she spent endless hours advancing her knowledge of the genre through online discussion with a community of local selectors, including Olin, Beta Librae and Huerco S, amassing digital tracks, and learning to DJ, landing her debut gig in 2009 at the Emerald Space warehouse. Umfang – German for ‘circumference’ – was born. These new connections opened avenues and she started playing out in clubs, initially at Home Sweet Home in Lower Manhattan and later at key New York promoter John Barclay’s nights at the much-loved but now sadly closed Williamsburg DIY spot 285 Kent. 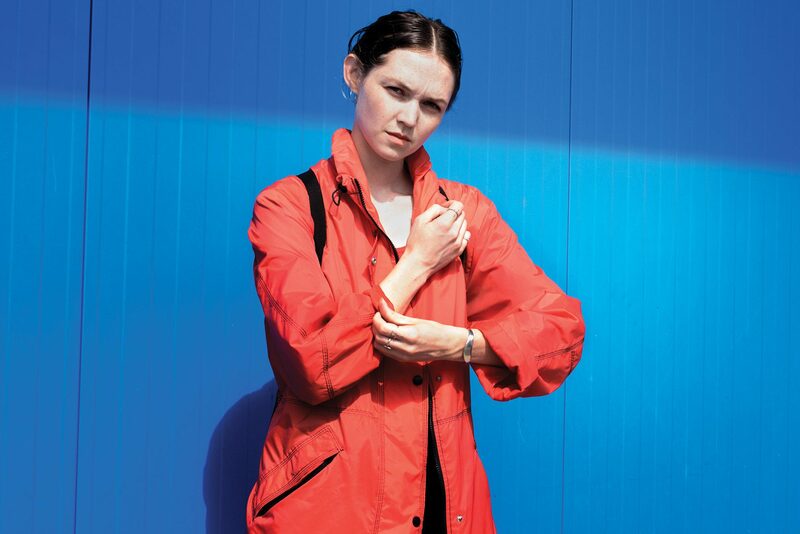 Umfang’s sets are hard-hitting while crafted with undulating flow, weaving strange and alien sounds into mind-bending tapestries – a counterpoint to the often sterile, whitewashed style rife in Europe. “I don’t have an emotional connection with music that’s simply copy-and-pasting a formula, and not actually about someone’s own internal vision,” she says. Umfang began producing in 2012, exploring irregular rhythm patterns and working with hip hop drum machines. The arrival of her debut release in 2015, the ‘OK’ tape on 1080p, announced an innovative new producer with an ear for spacious arrangements and disregard for a 4/4 kick. The ‘Riffs’ EP that followed in 2016 was more agitated and fierce, charged with club-wrecking potential. 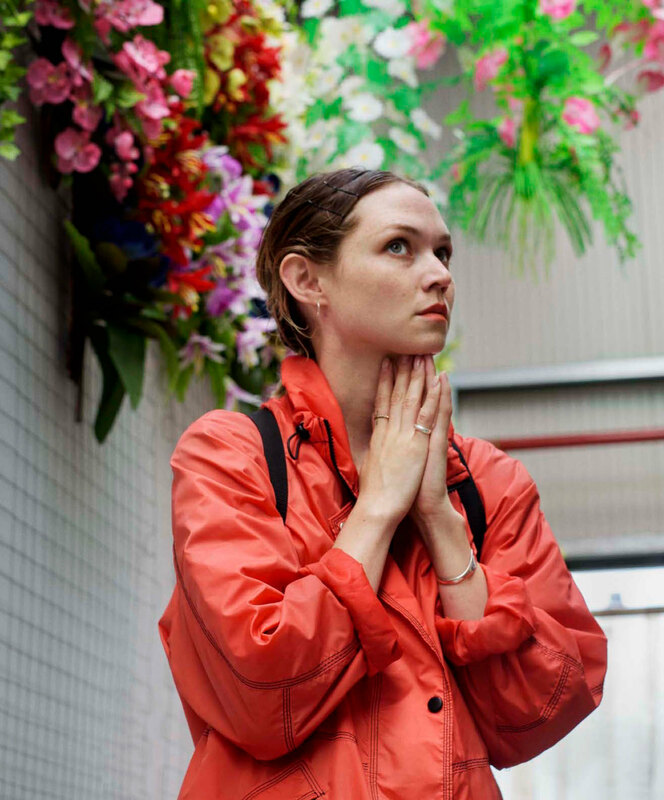 Umfang is a confident artist now, but she hadn’t considered music could be anything more than fun until linking up with John Barclay, first at 285 Kent and then as a resident at his newly opened Bossa Nova Civic Club in late 2012. “I didn’t really have ownership over music; it didn’t seem like a practical career, or very possible,” she says. Before moving to New York she hadn’t been exposed to examples of women making hard techno, and that had given her the idea that women weren’t as capable of it as men. Discovering that Detroit techno producer K-Hand was a woman, a year after becoming a fan, was a turning point in an eventual revelation that inspired her to make the thunderous techno she wanted to hear. She grew up in a politically-minded household, attending protests organised by the queer community with her mother, and being encouraged to protest against the Iraq war by both parents. Building on this grounding in activism, she’s sought to change the imbalances she now recognises in music, joining with Beta Librae to throw the female-dominated parties at Bossa Nova, where “even the happy hour DJs play techno.” That developed into the acclaimed Technofeminism series that has shone a light on underrepresented talents. “It’s a really special feeling when we find someone who is so under the radar, and they’re one of the best DJs I’ve ever seen,” she says. It was at Bossa Nova that she first met ex-Londoner Frankie Hutchinson, who became one of the founding members of the Discwoman collective, and who Emma speaks affectionately about as a force of positive encouragement. “I had never really experienced anyone like that in my life. 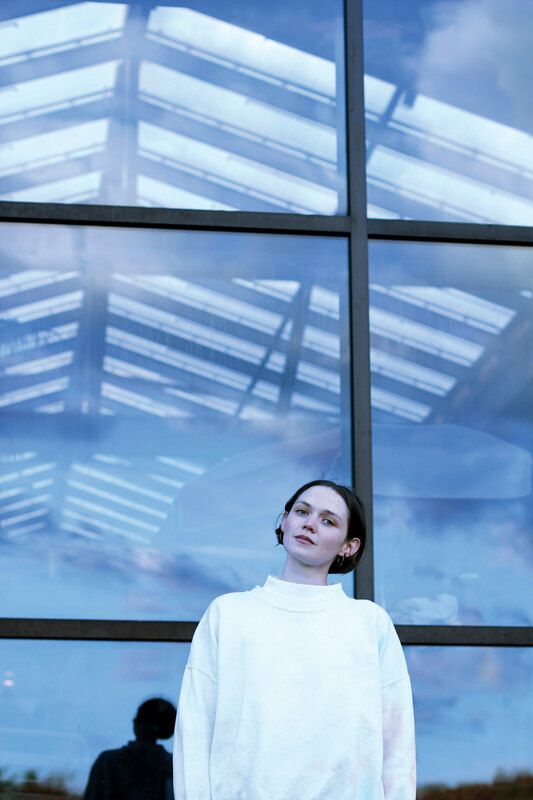 She was so supportive and invested in making me feel like whatever I wanted to do was a good path,” says Umfang. She’s become devoted to extending this support to others. Founded in 2014 alongside Christine Tran, Discwoman’s mission is to get female-identifying artists booked and paid for their work. Since its debut event, a two-day festival in New York, Discwoman has become a global force for progression in dance music, working with over 150 artists, inspiring the formation of similarly minded collectives and furthering the conversation around inclusivity and diversity in music. She’s certainly leading by example.